Is there a story in your backpack? 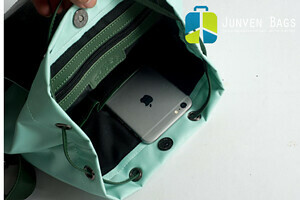 Junven-a backpack factory who offers various backpacks. A backpack can carry a lot of stories for different people in different roles. As far as I’m concerned, the story of a backpack is studying for students. For travelers, the story of a backpack is travel. For celebrities, the story of the backpack is fashion. For employees, the story of a backpack is work, and so forth. But do you seriously think about the story of the backpack itself? You can take this into consideration, you will find the secrets of your backpacking products. Do you know why a backpack is designed in a geometry shape? In this way, although you carry it with your both shoulders when it is filled with stuff, there is a soft padding round your waist protecting you. At this moment, the backpack perfectly sticks to your back, as if it is originally a part of your body. When you hike in the mountain area, you can walk quickly and easily with it. Even you participate in some intense activities, it works the same way. The motion V designed belt is very comfortable for you to carry the backpack with anything in it. The motion V design is very scientific with the padding stuff in it, which has a strong ability of ventilation performance and can absorb your sweat efficiently. And the set to adjust the belt is also very easy to turn up and down, you can enjoy the whole process of your walking by adjusting it as you wish. Do you know that the zipper design is very important for backpacking products? As we all know, backpack’s capacity is limited. If the zipper is too long, on one hand, it will reduce the capacity of the backpack; on the other hand, the backpack will turn out to be not durable. So to design the zipper short can make the backpack much more enlarged and stable. After knowing some secrets of the backpacks, you kind of know the story of it. What’s more, you can choose a better one when buying a backpack. Do you think this blog helpful for you? If you want to learn about more, follow us and we will update more knowledge for you. 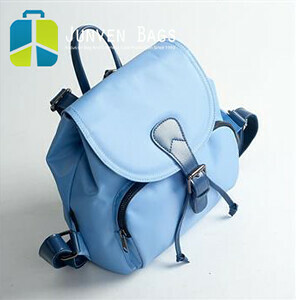 FOSHAN NANHAI JUNVEN BAGS COMPANY LTD. Copyright © 2017 Foshan Nanhai Junven Bags Company Ltd.